A unique, green and cost-effective way to promote your business to tens of thousands of people – all day, every day. 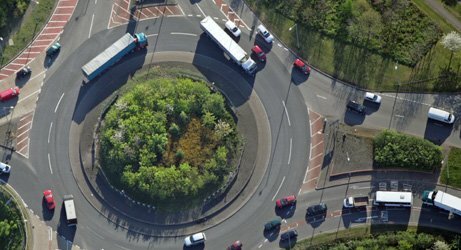 Our sponsored roundabout has not only raised our own local profile, but it’s also helping to promote the whole area to both visitors and residents. What benefits have our sponsors seen? The sponsor’s eye-catching roundabout with central polar bear and hot tub generated immediate public interest and an increase in visitors.